What happens when you combine astrology with numerology? You discover your Astronumerological DNA, says Elkie White, whose study of the two modalities started in the mid 1980s and culminated in the publication this year of Pan’s Script, her ground-breaking book on the subject. Here I talk with Elkie about why she wrote the book, what it covers and how her conclusions about the nature of astronumerology go beyond anything that has been written to date. But first, what’s the significance of the title, Pan’s Script? ELKIE: Pan as a prefix to words such as panorama and Pangaea, means ‘All’. Just so, I see Pan’s Script as relevant to All of Life – the whole package! Within that context, Pan also refers to the Greek god of nature; the Pan that dwells in the liminal place between light and dark. This Pan regulates the harmony of the spheres through his syrinx. Similarly, Pythagoras famously claimed that All is Number, and that Number encodes the Harmony of the Spheres. Pan is also an old Chinese word for a Taoist Creation Being, who chiselled the world from the rocks of eternity. And so, with its multiple layers of meaning, the title of the book represents the subtle, sacred dance between the ordinary and the extra-ordinary; the spirit of nature and the quest to understand the nature of spirit. LINDA: What led you down the path of writing a book? ELKIE: In 1999 I had been studying numerology for 11 years yet vital questions remained unanswered…all of the systems proposed by numerologists worked to some degree. Why? Why is it that numerology works at all? And how do the various facets of it knit together? I could find no book that adequately answered these questions, so I sat down and began writing and observing, meditating and modifying, until some preliminary answers emerged. The first draft was a whirl of inspiration, the second stabilised the theoretical base that had formulated through a steady process of research and insight, and the third integrated the case studies. Through these I could see how the numbers were actually influencing people and I adjusted my words accordingly. The hypothesis was providing the framework while real people fleshed it out. Beyond this stage the formulae emerged and the theoretical structure gained strength. The initial process took seven years and birthed a system both ancient and modern: a timeless, precise, ingenious, universal script. 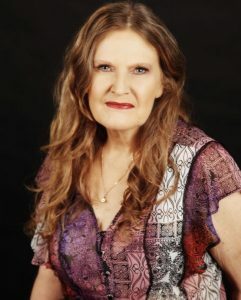 LINDA: Do you need any prior knowledge of astrology or numerology to understand the process you developed through undertaking research for and then writing Pan’s Script? ELKIE: Definitely not. From the very start of the project I wanted to write a book that a beginner to the subject could read and comprehend. I believe Pan’s Script will appeal to anyone who seeks self-knowledge, so, in that sense, it’s a book for beginners, but also one for professional astrologers and numerologists who will relate to it in a different way. Those of us interested in helping other people know that time spent understanding oneself is not a luxury; it’s essential. Pan’s Script will strike a chord in everyone interested in personal development. I’ve made the process of tapping into the power of astronumerology easy. I provide straightforward methods for calculation, worksheets that are easy to apply, precise definitions, over 900 interpretive statements, and more than a thousand examples to guide the process. There are case studies drawn from music, drama, literature, art, commerce, science and sport, famous ‘new millennium children’ such as Prince George, and people focused on spiritual development. These case studies include perennial favourites such as JRR Tolkien alongside several contemporary personalities such as Daniel Radcliff. The drive behind reading books about astrology and numerology is to gain a better understanding of oneself, and the value of that can never be overstated. People are complex; they want more than a simple sketch of themselves and those they care about. Pan’s Script meets this need. Together, astrology and numerology paint a multidimensional personal portrait. I guide readers step-by-step through their personal numbers to their astro-number signature, which encodes information that can be readily applied to relationships, career, and health. The insights gained through this process open you to a fuller, deeper and more accurate description of yourself and your potential. Click this ‘Play’ arrow to hear Elkie talking about the sort of information she provides if you order a Your Unique Self report. As part of this blog, Linda provided her ‘vital statistics’ and in this interview, Elkie talks about what Linda’s Aries 1 astro-number signature reveals about her personality and approach to life. ‘I had a full astrology chart done years ago and was most impressed with what it revealed and how much of it rang true. But Elkie’s method of incorporating numerology brings another layer into the mix, and the result is a truly three dimensional picture,’ says Linda. The colours of the rainbow come first, the last of which blends with the orange from across the other side of the circle to create a full range of browns for Number 8. Brown then deepens to black, absorbing all of the colours and Numbers before it, at 9. The white star in the centre (barely visible), shines through the transcendental fourth quadrant, turning black to grey, and then silver. As we return to where we began, red, white, and silver blend in radiant pinks, to represent the dawning of a new cycle. LINDA: What’s actually happening when you combine astrology and numerology to arrive at the concept of astronumerology? ELKIE: I believe that a person’s date of birth and name encode vital information about that person. The planets, signs, aspects, and numbers function as measurable determinants of cause and effect. Their interpretation has been compiled from centuries of observation and experience. Numbers have always been a prime factor in bringing order into chaos and could be the most primitive element of order in the human mind. I like numerology because numbers don’t lie. 2 + 2 = 4; no fractious debate necessary! I found that using numbers allowed me to build a reliable system. Numerology and astrology provide an interpretation of universal laws as they apply to human life. When knowledge of number symbolism and an understanding of astral symbolism are combined, one gains an obvious advantage. For as long as humanity can remember its story, some form of astronumerology has always existed. The universal laws symbolised by the numbers and the stars are immune to the whims of personal opinion. The specifics may have differed over the centuries, but the principles remain constant. I’ve found that astronumerology can usually explain what astrology or numerology alone cannot. LINDA: How is Pan’s Script different to other books that cover the same topic? ELKIE: There’s a lot of new information in Pan’s Script. Three major aspects stand out – the concept of astro-number signatures, the premise that your innate type of intelligence is encoded in your date of birth and the growth number cycle, to which a whole chapter is devoted. 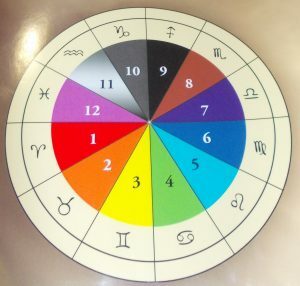 In Pan’s Script I’ve developed a reliable system of personality analysis and forecasting that combines the core features of astrology with the core features of numerology to form a set of 12 astro-number signatures. I show readers how to put their numbers and their horoscope together in one package, which has never been done before. Devising straightforward methods for uniting two ancient sciences within one interpretation is nothing short of ground-breaking. Signatures have been attempted before, but no-one has dared suggest that your innate type of intelligence is encoded in your date of birth. Pan’s Script can reveal whether you have language, spatial, logical-mathematical, or people intelligence, for example. In many cases it reveals a type of intelligence that a person wishes they had; it’s actually there awaiting development. Similarly if you are confused about your personality, Pan’s Script defines 180 personality types, with examples. This book is for the person who wants THE LOT – a strong, proven and reliable theoretical foundation that provides a platform upon which interpretations can stand free of personal idiosyncrasy and a substantial body of interpretive work. There are only a few astronumerology books on the market, each offering only one or two aspects of this vast subject. None is as comprehensive as Pan’s Script. 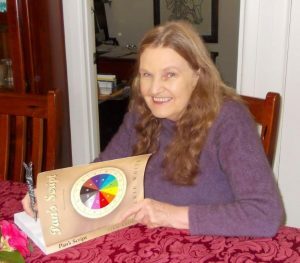 Elkie has been a student of the Numbers since the mid 1980s and a student of Astrology since 2000. She has formal qualifications in both. At the turn of the millennium she began writing Pan’s Script based on a combination of the two modalities. In 2005 she started applying her findings to reports for people called Your Unique Self. These are not simple or computer-generated, but personally written by Elkie to help people appreciate their complexities, their potential, and their totality. As well as the reports, Elkie offers workshops, and a correspondence course, for people who want more personalised tuition. Are you a practising astrologer or numerologist? If so, do you agree with what Elkie says about astronumerology? If you’re a lay person in this area and have had your astrology chart done, how satisfied were you with what it revealed? Does Elkie’s added layer of numerology appeal to you? We’d love to hear from you!